As he did with his cricketing career, Chappell has chosen the time he quit. Unlike his cricketing career, it is not deserved – even if it is a few years earlier than he planned. Greg Chappell was one of Australia’s all-time greatest batsmen – and one of Australia’s least successful selectors. Now, it’s a tricky thing to gauge how good someone is (or was) as a selector. They rarely act alone – and we rarely know what goes on inside that room. Sometimes the selectors themselves can forget what happened. Discussions and decisions can be casual as well as formal. Persuasion and influence come in many forms. The selection panel method allows for true collaboration and abrogation of personal responsibility. But what you can look at is patterns. This is Chappell’s third stint as national selector. The first was right after he retired from cricket, from July 1984-June 1988 (when he resigned). The second was in 2010-2011 (when he was basically sacked). He’s been in his current job since December 2016 and says he’ll leave after the 2019 Ashes series. 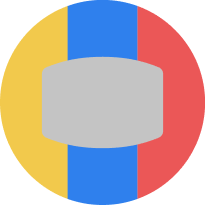 That’s three spells in the chair and each time have one overriding thing in common: they coincided with a period of disastrous performance for the Australian team. Is this all Chappell’s fault? Of course not. Did he make a bad situation worse? Let’s look at the time periods in more detail. This was an unhappy period for the Australian cricket team, though now it has a “darkest before the dawn” feel about it because by 1994, we were the best side in the World. When Chappell was selector, Australia lost at home to the West Indies, lost to England home and away, lost to New Zealand home and away, were lucky not to lose to India home and away (both series were drawn and had Australia saved by rain), and lost to Pakistan away. In the credit column, we beat New Zealand at home (just) and Sri Lanka at home. The one day team were good – we won the 1987 World Cup, and were pretty much the number one side in the world in that format from then on for the next few years. There were also mitigating circumstances. For three of Chappell’s four seasons in the job (1985-86 to 1987-88), 16 players were unable for international selection due to the fact they’d signed to tour South Africa. This was particularly draining on Australia’s fast bowling stocks, especially when spearhead Geoff Lawson was injured for great slabs of that time. By the end of Chappell’s reign – just before the 1988-89 series against the West Indies – the nucleus of the team who would be on the 1989 Ashes squad (not picked by Chappell) had been formed, and would go on to turn things around for Australia. The panel did plenty of good things that made sense. They picked batsmen like Geoff Marsh, David Boon and Dean Jones as well as pace bowlers like Merv Hughes and Bruce Reid. These players deserved their selection after consistent performances in the Sheffield Shield, and they had great Test careers. He backed Kepler Wessels in a form slump in 1984-85 and Wessels wound up scoring over 500 runs in a Test series against the West Indies. They picked a very good ODI team. Then, they did some things that didn’t turn out in the long run but which were entirely justified at the time. They tried batsmen who didn’t work out – but they were batsmen who deserved their chances, like Mike Veletta, Greg Ritchie and Robbie Kerr. 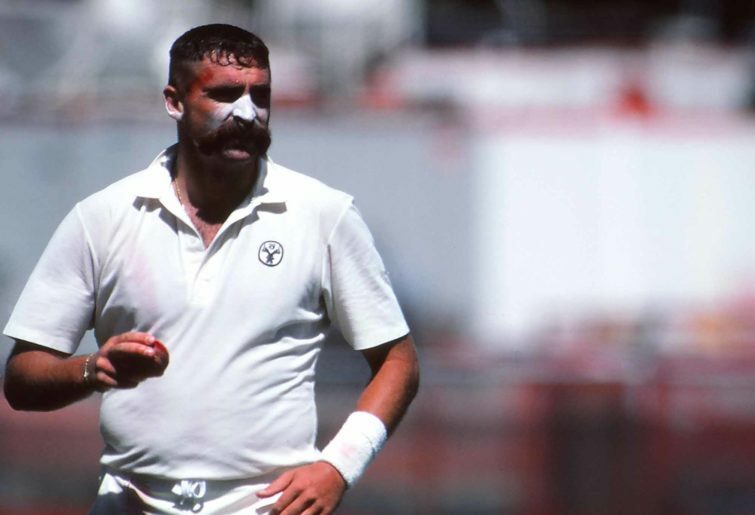 Mark Taylor was overlooked until after Chappell left the panel but, in all honesty, the batsmen they did select deserved their chances as much as him. Chappell still tries to take credit for picking Taylor though. They tried some bowlers who didn’t work out at Test level like Simon Davis, Dave Gilbert and Chris Matthews – but their selection was justified by first class form and Davis did well in ODIs. They did some things that were just dumb, however. They had a crush on having an all-rounder at Test level, something which has crippled many an Australian selection panel. Notably, Simon O’Donnell was picked as the fourth bowler on the 1985 Ashes – despite not taking many wickets – because of his batting. If Australia had the courage to pick four specialist bowlers on that tour, the end result may have been very different. They kept trying to sneak extra bowlers into the team by dropping specialist batsmen for all-rounders like Steve Waugh, Peter Sleep and Greg Matthews. This happened through 1985-87 and didn’t help Australia take more wickets, just collapse more. They stuck with Wayne Phillips as a wicketkeeper over two home summers and an Ashes tour because of his batting, despite the fact his inadequacy behind the stumps, especially to spin bowling, was evident early on. This not only lost Australia games in terms of catches dropped, but damaged Phillips’ considerable abilities as a batsman. They ignored Bob Holland on the 1986 tours of New Zealand and India. Holland was Australia’s leading match winning bowler from 1984-86 (the only time Australia won Tests in that period was when he took five wickets in an innings) and was Australia’s leading first-class wicket-taker in 1985-86. But the selectors ignored him in favour of Ray Bright, who was younger, a better batsman and had captaincy experience, but wasn’t in the same class as a bowler. They fast tracked some players into the side which felt impressive at the time but in hindsight make you wonder if it was such a good idea. Chappell ushered Craig McDermott into the Test side in 1984-85. He had a great initial run, taking 30 wickets in England in 1985, but then his form dropped away sharply and he didn’t really re-establish himself until 1990-91. That is a long time between purple patches. Was there ultimately a point to picking him that early? They gave a lot of chances to Greg Matthews, whose first-class form didn’t really demand selection. He came good for one wonderful summer of 1985-86 and then his performances drifted away sharply. Was he worth all that early investment? This is a flat out lie when you consider the career of Mitch Marsh. However, after nine Tests, Waugh was one of Australia’s most consistent batsmen – a position Mitch Marsh never achieved. But still, Steve Waugh didn’t become a great batsman until coming back strongly in 1992-93 after being dropped in 1990-91. 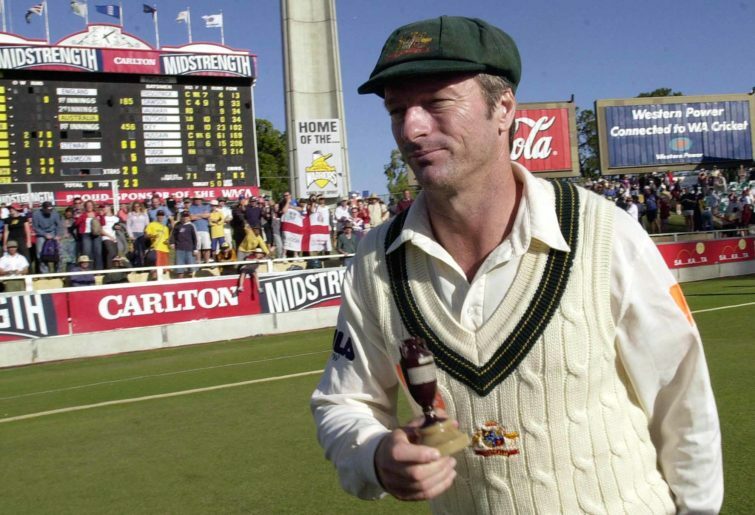 In the long run was there any point to picking Steve Waugh that early? Peter Taylor was another famous Chappell selection. Plucked from nowhere to make his Test debut at the SCG in 1986-87, he took eight wickets helping Australia win the game – overshadowing Peter Sleep’s 5/72 in the second innings which everyone forgets. He went on to play 12 more Tests taking 19 wickets. How smart was his original selection? To be fair, Taylor became a superb one day bowler. But they could have picked Tim May, who took 43 first-class wickets that summer and went on to have a far stronger Test career. Ian Healy was plucked from nowhere to be Australia’s wicketkeeper in 1988-89. He proved to be an inspired choice, but it wasn’t until Chappell panels had already tried Wayne Philips, Tim Zoehrer and Greg Dyer, and only used Steve Rixon as a stop gap. Genius move or just another roll of the dice after three unsuccessful attempts? They had back luck with veteran players. Chappell has a reputation for being “youth only” but it’s not true. He always tries to have a veteran or two in the side. The thing is, it tended to be just the one or two veterans. He overlooked senior players like Kim Hughes (ignored for the 1985 Ashes, prompting him to tour South Africa) and John Inverarity (who took 43 first-class wickets in 1984-85 and could’ve toured England as a spinner). The veterans he did recall never had much long-term success – Dirk Wellham, Jeff Thomson, David Hookes, Ray Bright, Peter Sleep, Andrew Hilditch, Graeme Wood were all brought back to the Test arena under Chappell, had some initial success, then drifted away. After a few failures, they were booted – although they definitely got rid of David Hookes earlier than they should. My overall view of the job this panel did from 1984-88 was mixed. It was a really challenging time with those South African defections and various injuries crippling the bowling options. When Australia won the Ashes in 1989, it was off the back of 41 wickets from South African rebel tourist Terry Alderman – he wasn’t available for three whole seasons. There were two main flaws from this time – and I stress this is hindsight. Ignoring first-class form and pretending players were something they weren’t – such as pretending Phillips would be a top rank keeper and Simon O’Donnell would be a frontline Test bowler in defiance of their first class records. On a more obscure note, pretending Glenn Trimble was a one day all-rounder when he was a batsman who bowled a bit was also bizarre. As was mishandling potential match winners on the grounds of being too old, notably Bob Holland, or being too smelly, like Kim Hughes. Chappell came back to selection after unsuccessful stints coaching South Australia and India. He took part in the 2010-11 summer, a disaster for Australia that saw them lose the Ashes 3-1 which was so shocking it ultimately resulted in the Argus Review and the selection panel, coach and captain being fired, and Chappell being banned from the Australian dressing room. Chappell did hang on to select the 2011 tours of Sri Lanka, which Australia won 1-0, and South Africa, which was 1-1. 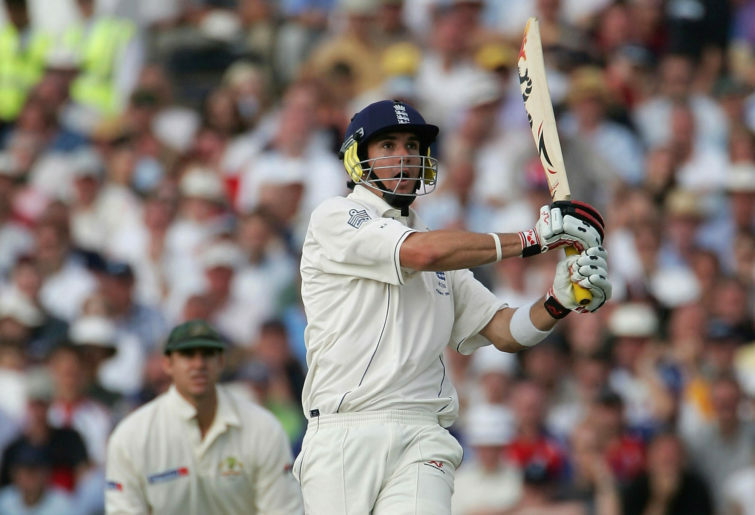 The selection panel’s main actions during that season included sacking Simon Katich, despite him being in good form and one of Australia’s most consistent players on the grounds of age – despite the fact he could bowl and was a captaincy alternative. They overlooked Nathan Haurtiz, who had done okay – if not brilliantly – at Test level and Steve O’Keefe, who had the best figures of a first-class spinner in Australia, in favour of Xavier Doherty and Michael Beer, who both had poor first-class records and both failed at Test level – although Doherty had some okay moments in ODIs. They did introduce Nathan Lyon, who’s become one of our greatest ever spinners. But they ignored David Hussey, who averaged over 50 at first-class level, Cameron White, who was in good form, and Andrew McDonald, who was in brilliant form and could bowl. McDonald missed some games due to injury, but was available to tour Sri Lanka and South Africa and was ignored. No doubt this was because Chappell was worried about the “ageing batting order”. They recalled Philip Hughes, who – painful as this is to point out – would never really re-establish himself as a Test level regular before his death. Usman Khawaja was debuted, who did okay but was eventually dropped. He was in and out of the team a bunch of times, sometimes deserving to be dropped, other times not, before years later finally establishing himself – though he always seems to be on the verge of being dropped, even this summer. They debuted Steve Smith in the Ashes, and he became an all-time great. But, before champagne is handed out, the Chappell selection panel didn’t take Smith to Sri Lanka in 2011, so they didn’t love him that much at the time. Chappell is still quick to claim picking Smith then setting up the batsman for later success, though. If they didn’t take Smith to Sri Lanka, they sure did take Shaun Marsh. Yep, it was Chappell who launched the Test career of the 2010’s greatest enigma. The panel promoted Michael Clarke to captain at a time when he really should have been dropped. Brad Haddin could have been temporary captain, then Katich could have taken over when he came back from injury. Clarke went on to be a very good captain, but a terrible man manager. Chappell and co. took Trent Copeland to Sri Lanka where he did well, but has been ignored by selectors since then. The team also introduced Mitch Marsh to the T20 squad and then ODI squad. That’s right, it was a Greg Chappell panel who started the fast-tracking of social media’s favourite whipping boy. Finally, they rushed Pat Cummins into Test cricket against South Africa, picking him over James Pattinson. Cummins proceeded to win Australia a Test match in South Africa, then spent most of the next five years injured. Cummins has since proved to be a superb bowler. The main flaws from the panel during Chappell’s second stint include throwing away a whole chunk of batting talent on the basis of age. To be fair, the first class records of Khawaja, Shaun Marsh, Phil Hughes and even Steve Smith at the time (he was averaging 40) were pretty good. But so were the records of Simon Katich, David Hussey, Mark Cosgrove, Cameron White and Andrew McDonald. I believe Australia’s batting recession over the next decade can be traced to this one summer. Giving Test matches to spinners who didn’t deserve them on the basis of first-class records (Beer, Doherty) and ignoring those who did (Hauritz, O’Keefe) before stumbling upon the right one with Lyon was a huge mistake. 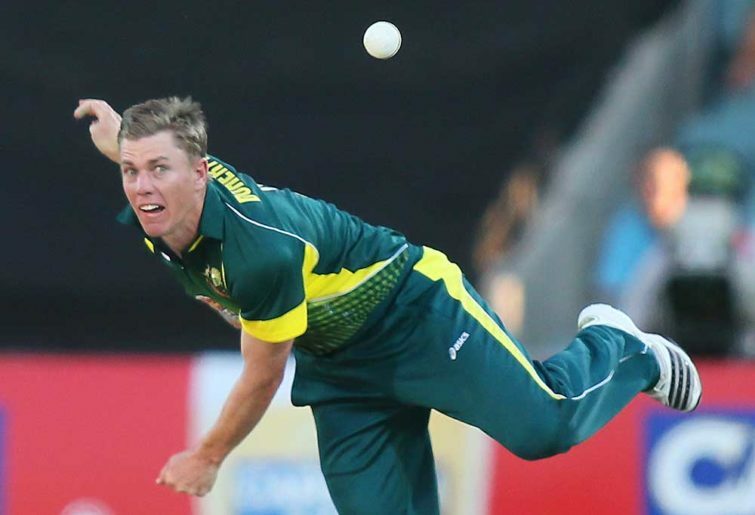 They rushed in an injury-prone fast bowler who would continue to be injury prone for the next five years in Cummins. They need to be marked down for throwing away a potential alternative captain in Simon Katich, contributing to the leadership vacuum that plagued Australian cricket throughout Clarke’s captaincy. 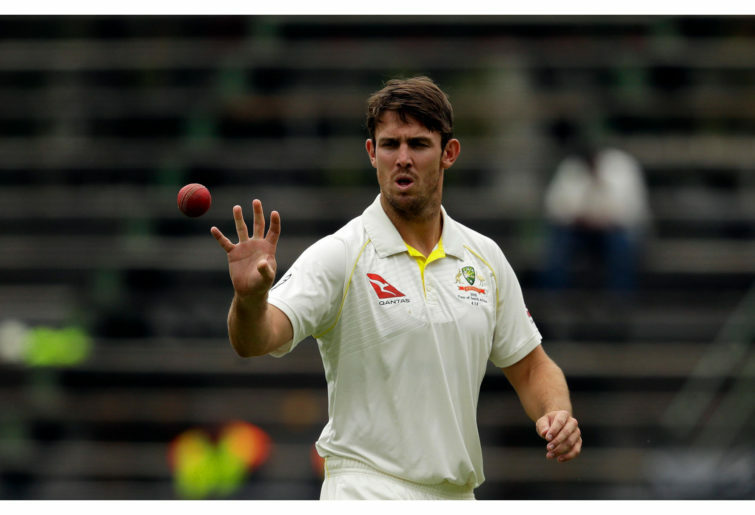 Introducing us to Mitch Marsh at the international level needs no further discussion. In the ‘mixed bag’ column, they gave debuts to Steve Smith (before sacking him), Khawaja, and Shaun Marsh. In the credit column, they picked Copeland, who should have played more Tests, and Lyon. To be fair, the selectors who followed Chappell could have reversed all his dodgy decisions but they didn’t – youth-obsessed, favourites-driven selection policy isn’t unique to him, especially when it concerns the Marsh brothers. It was considered a weird appointment at the time, considering Chappell’s lack of success in that role in the past, not to mention his championing of the ageist Futures League and involvement in the Cricket Australia XI, both much criticised. This began a topsy-turvy period in Australian selection with so many bizarre decisions I feel can only be explained by a split in the panel – my guess is it was between Chappell and the coach. 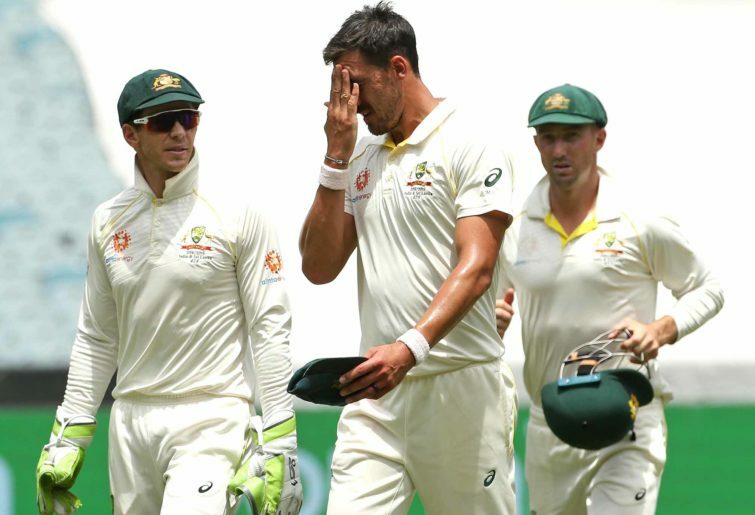 It didn’t affect the champions, whose performances were so good they had to be picked – David Warner, Smith, Mitchell Starc, Lyon and Josh Hazlewood. But everyone else was fringe. Let’s have a look at some of the greatest hits. Matt Renshaw was rushed into the Test side and did well, then really well, then Darren Lehmann talked about dropping him before India, but didn’t. Renshaw then did well in India, then he wobbled, then he was punted for Cam Bancroft, who wobbled but wasn’t punted, then was banned. Then Renshaw was in good form in county cricket but couldn’t get back in because they went with Aaron Finch as an opener – even though he bats at five for his home state. Finch failed and lost form but, by then, Renshaw had lost form anyway. At the moment Renshaw is promising? A bad fit? Too chirpy? Pete Handscomb did well, then really well, then wobbled and was punted for Mitch Marsh. He then got back in and wobbled, then got punted for Mitch Marsh again, then got back in and looked as though he was about to stop wobbling, then got punted again, but is still in the ODI team. Mitch Marsh got back in the team for India without deserving it, failed, got dropped, got back in the team for the Ashes without really deserving it, succeeded for four Tests in a row, then went back to failing and got dropped. He then got back in the team against India without really deserving it and got dropped again. He seems to have been supplanted by Marcus Stoinis who has got in the Test squad without really deserving it. Oh, and Greg Chappell pushed for Mitch Marsh as vice-captain. Marsh is now out of the Test and ODI squads. Hilton Cartwright played a Test when he was averaging well over 40 with the bat, but was picked for his bowling, didn’t bowl that well so was overlooked for India. He played a Test in Bangladesh when he was averaging over 50 with the bat – again because of his bowling. He didn’t bowl that well so was dropped and now is averaging mid-30s at first-class level and doesn’t look like getting better any time soon. Nic Maddinson got three Tests without deserving any, failed in all three, and was dropped. Shaun Marsh got back in the team for India without really deserving it, did okay, then got dropped, then hit strong first-class form and got back in the side for the Ashes. He then played excellently, failed in South Africa, the UAE and at home and finally was dropped, and now, of course, is playing brilliantly at ODI level. Callum Ferguson was given one Test. Mitchell Marsh was given 31. Glenn Maxwell was picked against India, scored a century, and three Tests later the coach was saying he might be dropped. 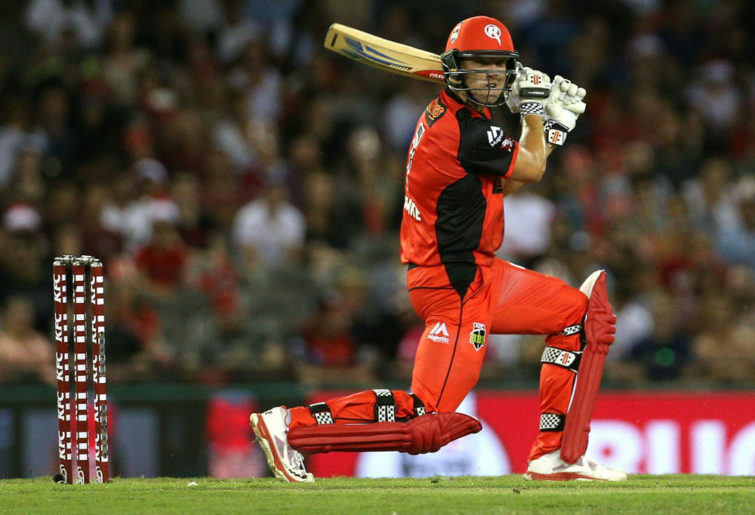 He was dropped and, in that time, he’s steadily averaged 40 but has been overlooked in favour of the Marshes, Handscomb, Marnus Labuschagne, Travis Head, Marcus Harris, Finch, Kurtis Patterson, Stoinis and Will Pucovski – and is still being overlooked. Joe Burns was dropped, then scored steadily, was given one Test, dropped again, then scored steadily and now is back in the team for now. Despite scoring 180 in the last Test, he has the vibe of someone who’s going to be dropped because he’s Joe Burns. Sam Heazlett was gifted an ODI because Chappell thought “he has what it takes” and has never been close to international selection again. Steve O’Keefe almost won Australia a series in India, then was dropped against Bangladesh and hasn’t been picked since despite being the second best spinner in the country. Ashton Agar was Australia’s first choice ODI spinner and was a back up in the UAE and now – is he even still playing cricket? Aaron Finch was picked as a Test opener based on one day form despite playing most of his first-class cricket at five and was never given a chance to bat at five in a Test. He has since been punted. 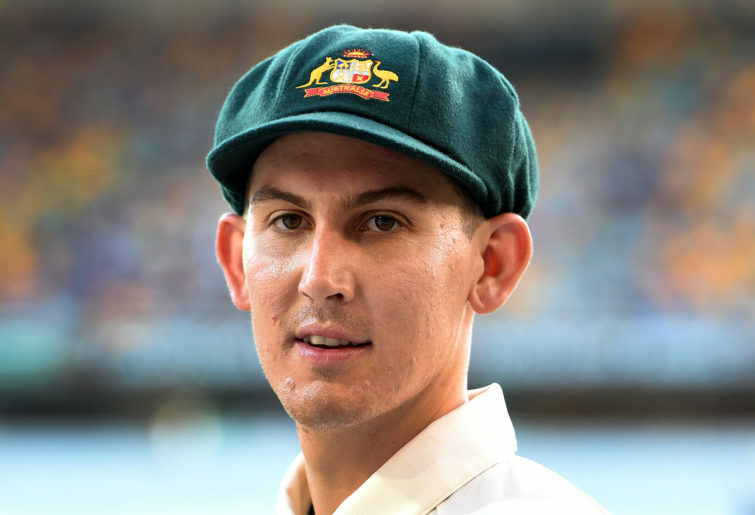 Marnus Labuschagne got picked as a replacement player on the Australia A tour on the back of one decent first-class season, scored a fifty, then got gifted two Test matches because Renshaw “lacked match practice”. He was then dropped, got back in the side and did okay. Cameron White steadily averaged 40 at first-class level, was ignored at Test level, and was given three ODIs – before being punted. George Bailey and Ed Cowan steadily averaged 40 and were ignored, while Cowan was deliberately driven out of the game by being dropped by NSW. 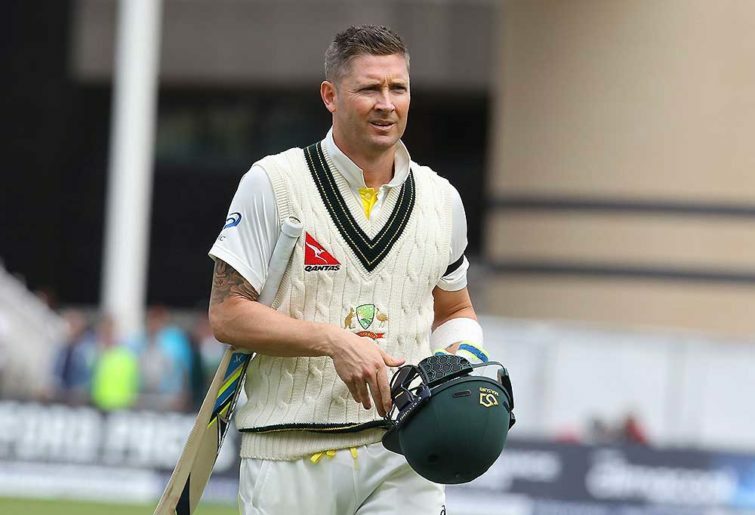 Peter Nevill was dropped as keeper for Matt Wade – who was a worse keeper but had a better record as a Test batsman and was louder, then Wade kept surprisingly well but still not that well, batted poorly and was dropped. Tim Paine was the replacement, who has done a good job, but Wade has gone on to out bat most of Australia’s top six. He hasn’t made the cut as a batsman because he batted too low in the order for Tasmania (or something). Will Pucovski was a hot property off the back of two big innings (take them away he averages around 15), then took time out for mental health reasons, came back, was picked in the Test squad, was overlooked for the Test XI, then took more time out for mental health reasons. The fast bowling seems to have worked out well. Jackson Bird, Chadd Sayers and Chris Tremain are unlucky not to have played more Tests, but the three regulars are pretty good. The ODI team has been consistently terrible, in part because the selection panel continually insists that T20 stars will be good at it (D’Arcy Short, Billy Stanlake, Chris Lynn) but also because the standard of domestic one day cricket was weakened by the states having to play Chappell’s Cricket Australia XI. Travis Head has turned out pretty well at Test level. So too has Tim Paine. Marcus Harris deserved his shot and did okay. Jhye Richardson deserved his shot and did well. The most recent Chappell selection panel seems to be powered by a few themes; a determination to pick some players no matter what (the Marshes, Labuschagne, Pucovski), a determination to ignore some payers no matter what (Maxwell, Bailey, O’Keefe, White, Burns, Cowan, Ferguson), picking on the basis of first-class being for whimps (Mitch Marsh, Labuschagne, Finch), and a tendency to overlook experienced players as vice-captaincy material (Starc, Lyon, Khawaja) in exchange for pretty young things (Head, Cummins, Mitch Marsh). 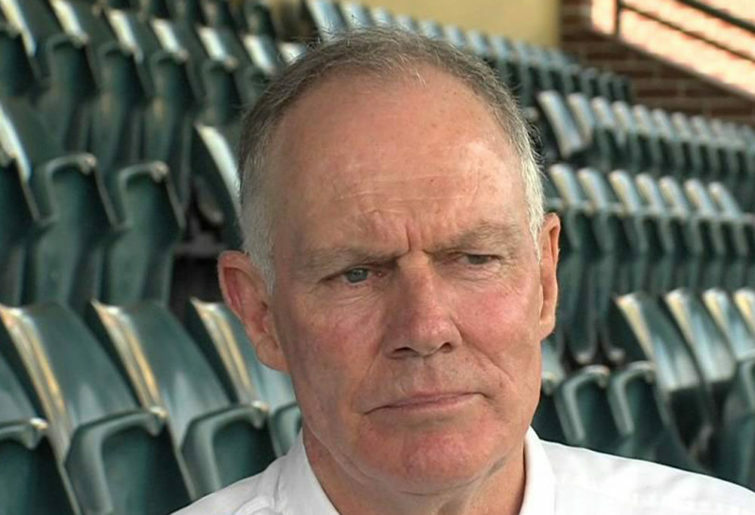 So, what are my overall thoughts on Greg Chappell as a selector looking at these three periods? For what they’re worth I think the main thing is this; he doesn’t know how to build a successful team. He has an eye for talent, absolutely, but he goes for stars – I think because he was a star himself. Jarrod Kimber wrote about the ‘ten-year player’ he seems to like recently with such brilliance. Chappell doesn’t know how to construct an actual side that wins regularly, though. Sides lose if he’s in charge, whether it’s Australia when he’s a selector, or, when he was coach, South Australia, India and the Australian U19 team. Going further back, he could never captain Queensland to a Sheffield Shield championship. But here’s the thing – he’s actually not that great at picking stars. He does unearth some, absolutely. But he kisses a lot of frogs to get his princes. Consider – Lyon came after Doherty and Beer had been tried, and it took Australian cricket about five years to realise Lyon was a star. Healy came after Philips, Rixon, Dyer and Zoehrer, and Reid and Hughes came after Chris Matthews, Dave Gilbert, Tony Dodemaide and Simon Davis. In 1985-86, they experimented with about five different opening combinations before stumbling upon Marsh and Boon. His ‘eye’ is often wrong. In 2013, he said Jake Doran was the next Mike Hussey. Doran’s first class average is currently 28. In 2015, he predicted the following players would be Big Bash stars; Billy Stanlake, Jimmy Pierson, Ryan Carters, Joel Paris, Timm van der Gugten, Tom Beaton, Marcus Stoinis, and Jake Doran. In 2019, Carters and Beaton have quit top-level cricket, Van der Gugten is a promising player for the Netherlands, while Paris has been riddled with injuries. He was a big fan of James Muirhead, who is pretty much out of the game now. He was gagging to pick Will Pucovski, even after Pucovski took some time out of the game for mental health issues, and now Pucovksi is taking more time out of the game for mental health issues. I do not want to mental health shame here at all but obviously Chappell and co. are poor judges about when someone has recovered from an injury of this kind. Many ‘Chappell picks’ turn out to be short term (Peter Taylor) or only thrive once they’ve been dropped (or recovered from injury) and brought back into the team years later – Steve Waugh, Steve Smith, Craig McDermott, Usman Khawaja, Pat Cummins. This is good news for Matt Renshaw and Pucovski! But it does beg the question – was it worth blooding these players early? Is there really a point to that? Chappell fans would argue yes, but there’s plenty of young players he tried who didn’t come good (Robbie Kerr, Simon O’Donnell, Nic Maddinson, Mike Veletta, Mitch Marsh, Hilton Cartwright, Sam Heazlett) or seriously underperformed (Shaun Marsh, Phil Hughes) or still haven’t blossomed (Matt Renshaw, Billy Stanlake). He is ageist – he’s been upfront with that, with his constant concern with the average age of state players continuing to rise. Why is that bad, by the way? This means he’s ignored a whole swag of excellent players at first class level who could have contributed immeasurably to Australia’s Test scene – David Hussey, Cameron White, Glenn Maxwell, Andrew MacDonald, Simon Katich, Steve O’Keefe and Callum Ferguson. Would Chappell have picked late-in-life bloomers like Adam Gilchrist, Chris Rogers, Adam Voges, Stuart Clark and Mike Hussey? I doubt it. 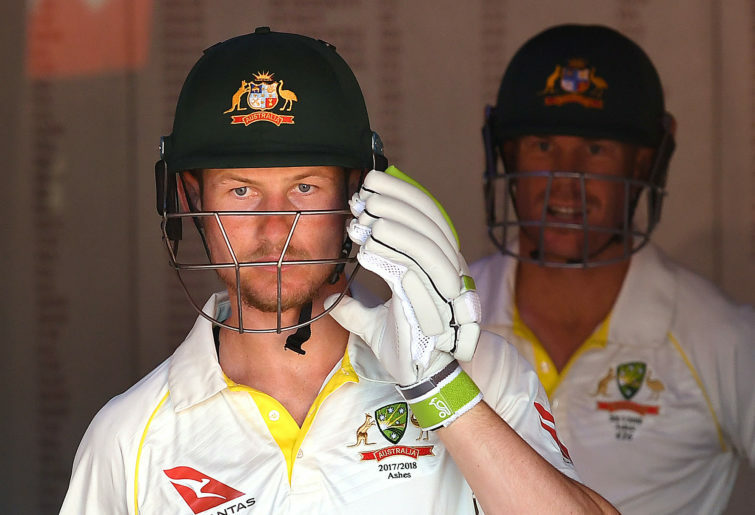 He did pick Tim Paine, but that’s about it for him and recalled veteran success stories. I think Chappell likes to pick young players in part because if he picks wrong he has an excuse (“they’re only young”, “you never know until you try them”), and if he picks right he looks like a genius. This, along with his cricketing record, helps Chappell get more good press than he deserves – journos are always bringing up his ‘gut’ picks of Ian Healy, Steve Waugh, Pat Cummins and Nathan Lyon, omitting Michael Beer, Sam Heazlett, Shaun Marsh and Jake Doran. He also seems to lack understanding about human nature. I mean, honestly, would think introducing an age limit on the second XI comp would improve playing standards? When would reducing the number of people who could play in a competition ever improve it? Who “just doesn’t get criticism” of the Cricket Australia XI? Who thinks players will get better by being gifted positions in teams? Chappell’s fans would argue “well he just has a different point of view” – because I don’t think even his closest friends could argue the Futures League and Cricket Australia XI were a success. Sure, fine, whatever. I would also argue that his philosophies don’t make sense and have done a lot of damage. How has he survived so long then? Well, he works hard. He’s always zipping around the country, going to games. There’s probably not a lot of players of his standing who’d be willing to put in hard yakka – especially when there are easier dollars to be earned sitting on your backside complaining into a microphone. He has the courage of his convictions. He was a magnificent player. He has an amazing, imperious presence – almost regal. Everything that comes out of his mouth sounds careful and considered. He’s always got some handy excuses for his many failures too, like the rebel tours, Sandpapergate, or Australia’s small talent pool, or Ponting and Clarke not scoring runs in 2010-11. His ageism and “let’s throw them in the deep end and see what they can do” methods have been endorsed by many journalists for whom “young tyro blooded at 19” or “random spinner plucked from nowhere shock” is a better story than “solid 28-year-old finally gets chance after years of first-class consistency”. And occasionally he gets it right, like with Ian Healey, who he’s always careful to bring up. And, you know, maybe Jake Doran will come good one day. Maybe. 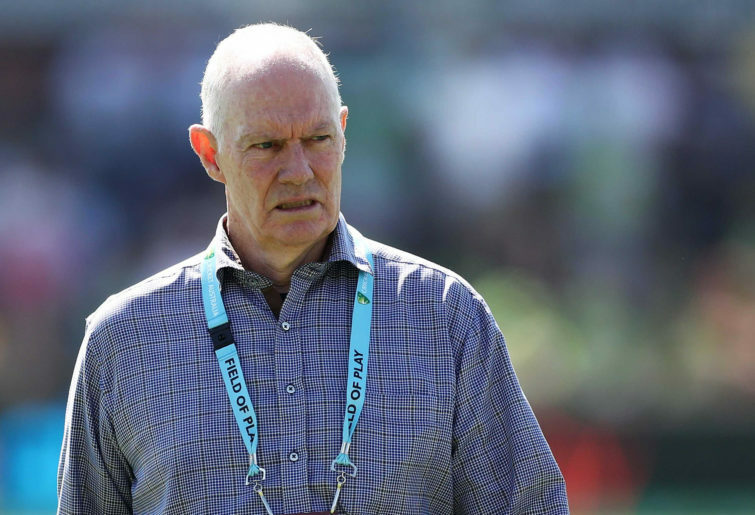 Greg Chappell was a wonderful player who has done some fine things off the field, like his work with the homeless. His lifestyle choices like promoting meditation and veganism offer a refreshingly different point of view to many ex-legends. But he’s been a destructive force on Australian cricket. He prompted a whole bunch of players to retire and weakened a generation of cricketing talent. He should never have been brought back as selector a second time, let alone a third, let alone been allowed to stick around until after the Ashes. If Cricket Australia wanted to thank Chappell for being a good batsman 40 years ago they’d be better off giving him some roaming “talent spotting” commission, letting him travelling the world looking for potential champs to offer scholarships to. They shouldn’t have given him actual power. But, as the Grade Cricketer put it, that’s hard when he was your dad’s favourite player.